This guy needs to get his gf home before dark as this early twenties Scout is a magneto model with no lights. Those small 37ci(600 cc) Indians where the first Scouts introduced to the market in 1920 and where continued until 1927. 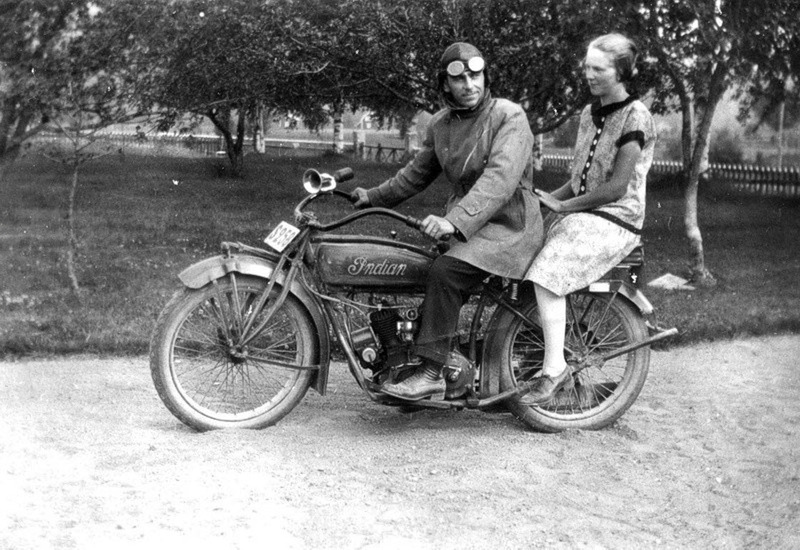 In 1928 the Scout 101 was presented to stay in the Indian product line until 1931. The 101`s where sold as both 37ci and 45 ci (600 & 750cc). 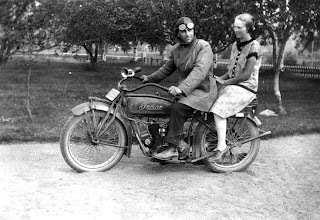 Those Scout 101`s where machines of great quality and soon got the reputation of "You cant wear out your Indian Scout". There must be a reason most "Wall of death" riders are 100% faithful to the 101 Scouts until present day! Personally I find few motorcycles of a better design than the 1931 101 Scout.